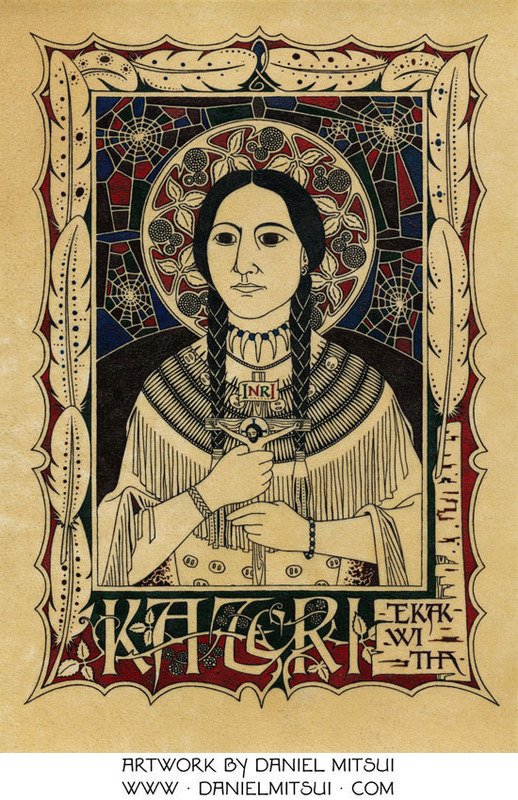 St. Kateri (Catherine) Tekakwitha, known as the Lily of the Mohawks, converted to the Catholic faith in 1676. She took a vow of perpetual virginity and died at the age of 24. At her death, her face was miraculously cleared of its smallpox scars. 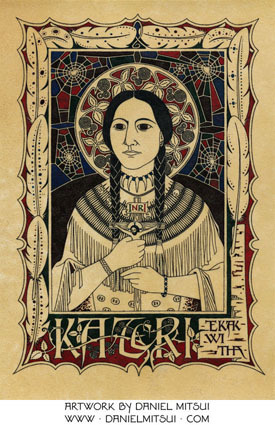 I drew her holding a Crucifix, surrounded by decoration composed of feathers, birchbark, spiderwebs and raspberry plants. Dimensions: 5 1/2" × 8"
An open-edition giclée print of this drawing is available for $41. You may use the button below to pay via PayPal, debit card or credit card. Be sure to confirm the shipping address.